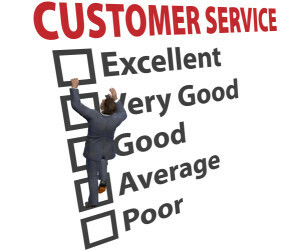 X5 Management offers a number of customer service training workshops. Emphasize the importance of customer service and accountability to your employees during our fun and interactive half-day or full-day customer service training workshops in Calgary and Edmonton. These customer service-focused workshops provide your team with valuable tools they can use right away to improve their customer service approach. Download our Top 10 Workshops list to learn more about these courses and their objectives. Our workshops are divided into sessions of approximately four hours, and occur at your office or off-site, depending on your preference. X5 will facilitate tailored Customer Service Training workshops to foster team-building, help individuals understand how to better demonstrate value to meet customer expectations, as well as to create a sales culture that is accountable and goal-driven. Access to complimentary self-development learning (e-learning). NOTE: Your business may qualify for the Canada-Alberta Job Grant, where up to 2/3 of approved training costs will be funded up to $10,000 per trainee. Maximum grant is $300,000 per employer per fiscal year.